Food therapy looks at all aspects of the child’s eating including their motor skills, behaviour/learning, sensory needs, medical history and nutritional factors to fully assess and work with children with eating difficulties. Therapists work with your child introducing new food at their pace making it fun as children learn to interact with food through exploring and playing with food. Children will work through the steps to eating by firstly learning to accept the food in the room, in front of them, touch it, kiss it, lick it and eventually tasting and eating the food. Who carries out food therapy? The first part of any food therapy is for an assessment to take place. At Magnificent Munchers the first step is for parents to complete a detailed history questionnaire then a joint assessment is carried out by an Occupational Therapist and a Speech and Language Therapist. It is also important to have the child’s food intake analysed by a Dietician over the course of a week by parents completing a food diary which enables the dietician to advise on which food groups need improving, if supplements are needed and to establish that the child is growing adequately. The assessment is always carried out with parents and the child is observed eating their preferred foods. The Speech and Language Therapist’s role is to assess the effectiveness of the eating and swallowing mechanism and to evaluate whether food or drink may be going down the wrong way - possibly un-noticed. If this is found to be the case, there are steps that we can take to manage the situation or to investigate it further. We also see some children who have experienced gastro-oesophageal reflux which can have a lasting impact on children's eating. Following our assessments, therapists work together to produce a joint therapy plan. The Occupational Therapist assesses the sensory aspects of a child’s eating and how this is impacting on their food preferences and draws on all the assessment details to plan the food according to the child’s skills level, sensory needs as well as nutritional needs. 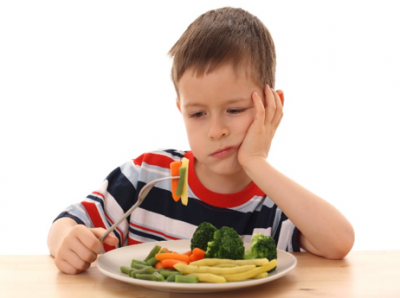 Which children need food therapy and why? Children who eat a limited range of foods can still grow and gain weight inline with their peers. When the child’s limited repertoire is impacting on family and social life by preventing the child from accessing normal everyday activities then food therapy is probably advisable. How does food therapy help? Food is such an emotive subject with parents and children. As parents we feel we must provide good nutrition to our children and if that goes wrong somewhere we often blame ourselves. Our desire to get our children to eat can become such a focus that getting food into our children becomes our main mission and the less this happens the more anxious we all become. Food therapy enables parents to share the food responsibility with someone else to take a step back from the difficulty to be able to carry out a plan to move the eating on. It is a collaborative venture between child, parent and therapist. The therapist’s role is to guide, advise and support parents to implement strategies in small steps. At Magnificent Munchers, Therapy for Fussy Eaters we provide weekly therapy and provide strategies to work on each week. Parents observe therapy sessions and record progress but are not sat directly at the table so the emotional connection between child and parent is detached slightly to enable therapists to show alternative means to encourage parents to use at home. Magnificent Munchers offers individual and group sessions. Group programmes are for primary age children as we find that children engage better with other children in the group, they encourage each other and learn from one another having lots of fun along the way. Groups also enable parents to support one another, share tips and celebrate tiny steps which only other parents of fussy eaters can appreciate. If you would like more information on helping your fussy eater then please contact [email protected].